Israel's Covenant: ISRAEL, the exact center of the world... or is it? ISRAEL, the exact center of the world... or is it? Our Bible describes Israel as the center of the world. Admittedly, there is much discussion and argument about this. The anti-Bible folks say it is all posh and nonsense but the sticklers for Biblical truth are adamant. Ezekiel 5:5 states : "This is Jerusalem, I set her at the center of the nations"
Ezekiel 38:12 referring to the Jewish people states: " They live at the center of the world" . The word "CENTER" more appropriately rendered "navel" of the world. In any man''s speak that is pretty center. I do want to point out something that will make more sense further down in this article. God uses the term "NAVEL" but does that mean center in this context ? The navel of a person is the point from which a baby receives nourishment from its mother. But the navel is not the exact center of the human body. In fact for most people, their navel is several more inches distant from the bottoms of their feet than it is from the top of their head. In fact the navel is not even the center of the trunk of the human body. There is a point to all this so please humor me for a moment. In doing research for this article, I came across some absolutely fascinating information that I did not previously know. It began while I was digging into whether or not there was evidence to support the idea that Israel really is the center of the world---not center of the planet, as in center of a round ball, but geographically center of the topographically face of the earth. An interesting article by a scientist from the Institute for Creation Research (ICR) was most revealing. For those of you who do not know about ICR, it is a group of scientics who believe that the earth and all of the universe was created rather than coming into existence by some random act , other wise known as the big bang theory. I once visited the center when it was located in Southern California but it has long since moved to Dallas Texas. What a fascinating place. 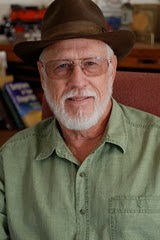 The founder of ICR is Dr. Henry Morris, PH.D who wrote a a fascinating article which references research done by a physicist by the name of Andrew J. Woods, M.S. One of the central issues within this article is to point out that until the advent of super high speed computers, the science was not available to determine or verify the exact geographical center of the earth. We would all like to believe that the exact physical center of the Earth is Israel but according to Mr. Woods computer modeling that apparently in not the case. But the evidence is compelling and certainly gives us a glance into the planning of God that went into the positioning of certain places in the Middle east. According to this research the geographical center of the earth is actually located near ANKARA, the modern day capital of the nation of Turkey. The city is slightly north of the center of that nation and south east of the port city of Istanbul which was previously called Constantinople, until renamed Istanbul in 1930. 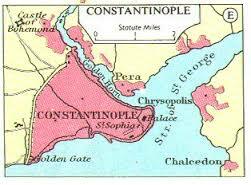 Constantinople was the Eastern capital of the Roman Byzantine Empire from 330 to 1204 and then again from 1261 to 1453 A.D. It was Emperor Constantine and his mother Queen Helena (330 A.D.) who was the first Roman Caesar to become Christian. The result was that Christianity spread throughout the later Roman Empire probably faster than in the days of Paul and Peter in the first century. I have in my office a huge wall map and I placed a stick pin over Ankara. Continuing to read this most excellent article, I next placed a pin over Mount Ararat which is located on the far Eastern boarder of Turkey. 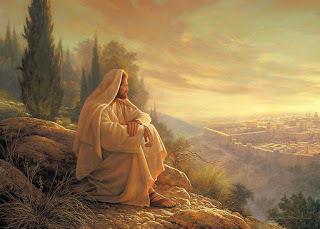 Continuing on I placed another over the site of ancient Babylon and yet another over Jerusalem. According to Mr. Woods, the exact center of the geographycal earth is Ankara at Latitude, 39 degrees and longitude 34 degrees. Which as it turns out is the same Latitude as Mount Ararat and essentially the same Longitude as Jerusalem. Interestingly, the locations of these four historical sites forms a nearly perfect square. Inside that square is contained about 440,000 square miles of territory and includes the names of many ancient Biblical cities . If you look at your own map you will see that the rivers Euphrates and Tigris (Hiddekel) are within that square and the Bible states in Genesis 2:8-14 God planted a garden east of Eden and from it flowed a river and from the garden it split into four riverheads, the first being Pishon, the second is the Gihon, the third is the Hiddekel (Tigris) and the fourth is the Euphrates. No one knows the exact course that either the Pishon or the Gihon originally took but many learned scholars believe the Pishon may have flowed south between Egypt and Saudi Arabia. If that is the case it would eventually have been deluged by the waters on Noah'''s flood and be located directly under the area where Moses split the waters of the Red Sea and led his people in pursuit of the promised land. How Divinely poetic. Another remarkable coincidence (?) is the fact that the name ANKARA means ANCHOR. Could it be possible that this is a geographical anchor to the nearly perfect square that may have been home to the Garden of Eden and thus to Adam and Eve? That this anchor is extremely near the great city of Constantinople from which much of Christianity spread in later generations? That directly opposite the anchor, on the far side of the square is Jerusalem which is undeniable the city representing spiritual redemption for all mankind? 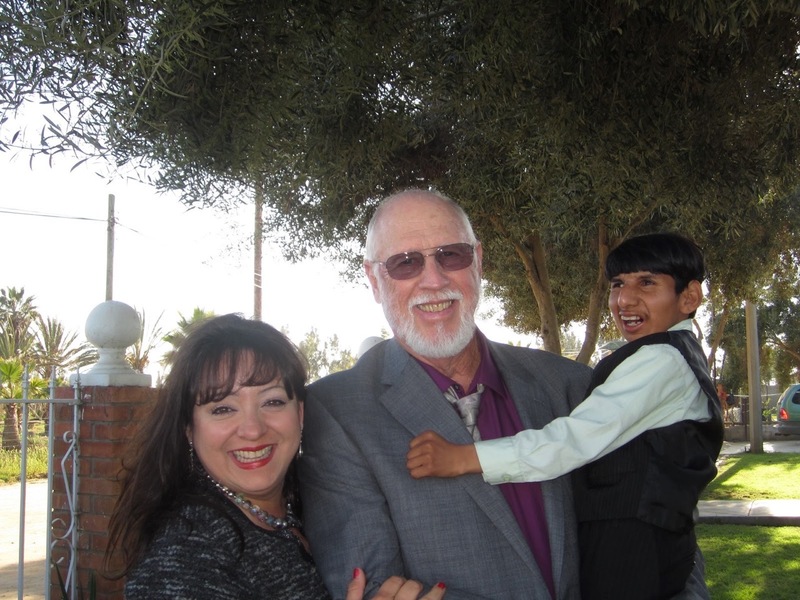 Remember I was speaking about the physical location of the navel on the human anatomy and that it is the area from which all newly created humans are fed and nourished? Just as our Redeemer Jesus Christ was born, gave Himself unto death and was resurrected to provide spiritual nourishment for all who will simply embrace Him? 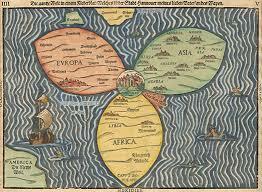 Is that the reason Jerusalem is referred to as the NAVEL of the world? I also emphatically state that since Jesus was and always will be the Jewish Messiah, one cannot separate Him from Jerusalem or Israel no matter how hard they try. So what could be the relevance to the other two corners of the square? As we all know, when God destroyed mankind through a great worldwide flood, He gave grace, safety and provision to Noah and his family so that mankind could begin with a fresh start and eventually spread to all corners of the earth. It is believed by many that it was Noah's 70 children and grandchildren who resettled the earth. Later of course once again because of sin, God scattered the human race and confused the languages from the ancient city of Babel . This was the Kingdom of the ancient King Nimrod which in the course of time became Babylon who''''s King Nebuchadnezzar was used by God to punish Israel and take many of the Jewish people captive for 70 years. 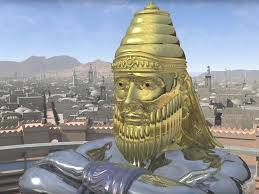 At the end of that 70 years, another King of Babylon, Cyrus by name who was also King of Persia issued a decree that allowed the Jewish people to return to Jerusalem and he even provided monies for them to help rebuild the Temple which had been destroyed by Nebuchadnezzar . Is there any physical or spiritual relevance to these four locations and their positioning in relation to one another? 1). Ankara , geographical center of the World. The "anchor", originally controlled by a great King of Roman Constantinople who spread Christianity worldwide. 2). Mount Ararat, chosen by God to begin re population of the world. 3). Babylon, chosen by God to punish Israel but also to protect a remnant of Jews and restore Israel, Jerusalem and the Temple of God. 4). Jerusalem, the spiritual navel of the world and great city of redemption from whom the redeemer, Jesus Christ, the Jewish Messiah will eventually reign for 1000 years. These four points on the compass surround the place where God first created mankind in the Garden East of Eden. And what else Biblically is within or extremely near that square? 10) Future locations of the great wars of Gog from the land of Magog and the battle of Armageddon. 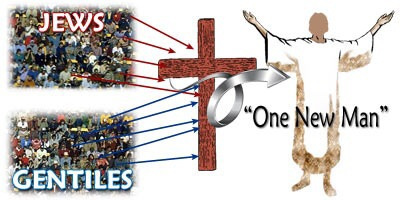 I am certain that all four points on the nearly perfect square are still important in the throne room of God. But here on earth, the relevance of Ankara as the anchor, Mount Ararat and Babylon have become lost to history other than for those of us who love to know the Biblical answers. It being a fascinating study. What is not lost to history is Jerusalem and the role she currently plays and ALWAYS will. Scripture tells us that Jerusalem will be the eternal home to all human beings who have placed their faith in Jesus Christ, both Jew and Gentile. 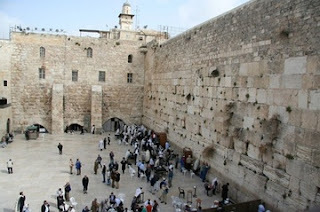 Jerusalem is the most hotly contested piece of real estate on the planet. Not only is the ownership of Jerusalem contested but also the very existence of the Jewish people. They have been threatened with future extinction by Iran (ancient Persia), Syria, the terror organizations, Hezbolah, Hamas, Isis, Jabhat Fatah a-Sham, Khalid ibn al-Walid Army plus several lesser known groups who would love nothing more than to wipe Israel off the face of the map. She is constantly maligned by the United Nations and accused of stealing Arab land even though the tiny spec of Israel (with 7 million inhabitants) is surrounded by massive nations containing roughly 600 million Arabs, Turks and Persians many of whom want to destroy her. Think of this from satan'' view point for surely all these anti Semitic groups are inspired by non other than lucifer himself. If he were able to inspire the death of Israel and all Jews on the planet, (not to mention Christians) the real Messiah, Jesus the Christ of God would have no place to return to and no people to call His own. Of course that is not possible and the end of the Book (BIBLE) says clearly that Jesus and His people will eventually prevail in this centuries old battle for dominance over the human soul. By the way, just a thought to remember; The Covenant land promised by God to Abraham and his descendants (the Jewish people), if realized today, would include a huge swath of Egypt, all of Israel, another huge swath of Saudi Arabia, all of Jordan, roughly one half of Iraq, all of Lebanon, about two thirds of Syria, and a small portion of Turkey. Our Jewish friends are stealing the land? I don''t think so. It is no wonder God instructed us to pray for the peace of Jerusalem (Psalm 122:6). Interesting that this Psalm is not a suggestion, it is a command. Question for everyone to ponder. 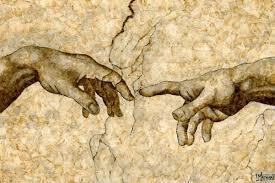 Is the Bible merely a dusty old tome filled with inaccuracies and made up stories? Or is it Divinely inspired and written by anointed Prophets and people of God? Is it simply all coincidence? I think not. I sincerely hope you find this article as interesting as it was for me to write.